The following document contains the Rules, Terms and Conditions (hereinafter referred to as the “T&C”) for the contest “AAPKA MOBILE NUMBER LE JAEGA STADIUM KE ANDAR” (hereinafter referred to as the “Contest”) promoted/organized by HT Media Limited (hereinafter referred to as “HTML”) on its Radio Platform namely Radio Nasha 107.2 FM in Delhi. The Contestant must carefully read and agree to the T&C before participating in the aforementioned Contest. 1.1 Entry and participation in the Contest shall be deemed an unconditional and irrevocable acceptance of these T&C. All entry instructions and any other specific details relating to the contest or the prizes form part of these T&C. 1.2 HTML reserves the sole right to terminate the Contest at any time without giving prior notice. All decisions of HTML in any matter relating to the Contest shall be final and no discussion or correspondence will be entertained. 1.4 A failure by HTML to enforce any of these T&C in any instances will not give rise to any claim by any person. 1.5. HTML reserves the right to amend these T&C at any time at its sole and absolute discretion. 1.6 The Contestant has made certain representations and warranties to HTML in applying for a place on the Contest. 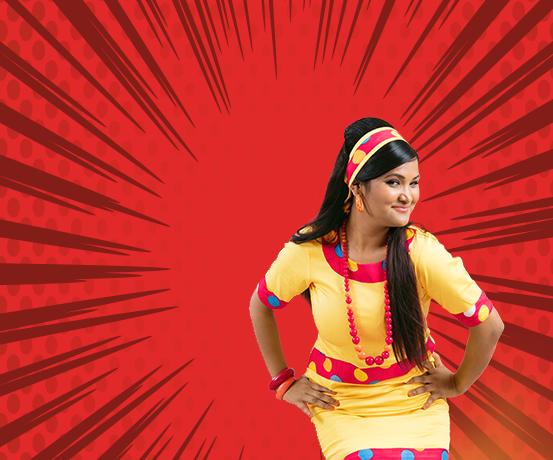 HTML has relied on the accuracy and truth of such representations and warranties in granting a place to the Contestant. 1.7 Should HTML or its agents become aware of any fraud, deceit or similar action undertaken in connection with the Contest or otherwise, or any act or omission which might have an adverse effect on the Contest, HTML reserves the right to forfeit the Contestant’s place in the Contest (without giving any reason and without notice). 2.1 All Contestants MUST be citizens of India and/or permanent residents of Delhi/NCR and shall provide evidence of the same. Evidence required by HTML includes but is not limited to Identification Proof, Residence Proof, PAN Card. Further, Contestants must be above the age of 18 years. 2.2.5 It is in HTML’s best interests to do so. 2.3 HTML reserves the right to announce another participating contestant as the Winner if the selected winner defaults on any of the T&C. 2.4 HTML employee, spouses and immediate relatives are prohibited from participating in the Contest. 3.1 The contest commences from 19th March at 00:00 hrs and will close on 20th May at 23:59 hrs and will be broadcasted on HTML’s Radio Nasha 107.2 FM in Delhi. A few lucky winner will be announced and will be given the match tickets of the hometown matches. Once a listener wins, he/she cannot participate in the contest on the same day. The match ticket shall be non-transferrable and cannot be redeemed for cash. The winners will be sent an agreement along with the T&C, letter of acceptance and other documents through post. The winners will then have to sign and return the same along with their Address and Identity proof. 3.5 The winning prize of the contest is subject to deduction of applicable taxes in accordance with law. 4.1 The Winner is eligible for prize mentioned in clause 3.2 subject to production of valid documents for Photo ID proof/Valid Passport at Radio Nasha 107.2 FM office, in Delhi. Any failure on the part of the winner to comply with directions issued by HTML, shall entitle HTML to cancel and forfeit the prize for the said winner and then the same prize will be given to the next winner. 4.2 All Prizes are non-transferable and may not be given, assigned or sold to another person. 4.3 Winner will be liable to pay the taxes and other statutory fees (if any) as applicable on the Prize. Tax deductible at source under Income Tax Act is applicable for any prize exceeding the value of Rs. 10,000/- The Winner is liable to bear all related costs and charges incurred during collection, acceptance or avail of the Prize. At no point winner shall make HTML liable or responsible for any additional charges to be paid by the winner for claiming/availing the prizes. 4.4 HTML shall not be responsible for the quality, fitness, merchantability, defect or deficiency etc. of the Prize and no claim or request, whatsoever, in this respect shall be entertained by the HTML. The Contestant shall claim the prize on the date and time informed by HTML. If not claimed HTML reserves the right to forfeit the prize and has the sole discretion to announce another contestant as the winner. The winners shall be required to produce/submit photo identity/address proof as and when required by HTML. The winners may be required to sign the Terms and Conditions herein before accepting the prize. In case false/fake identification details are submitted, the concerned participant/winner shall be disqualified immediately from the contest. 5.1 The Contestant shall hold HTML, its officers, employees, agents, subsidiaries, affiliates and other partners, liable whatsoever for any costs, expenses, losses, damages, liabilities, injury or disappointment including any loss of profit, business, contracts, revenues or anticipated savings and whether special, direct, indirect or consequential suffered by the Contestant howsoever arising in connection with the Contest and/or Prize. 5.2 The decision of our judges is final and conclusive in all circumstances and no correspondence will be entered into. 5.3 The Contestant agrees to indemnify HTML, its officers, employees, agents, subsidiaries, affiliates and other partners against all costs, losses, damages, expenses and liabilities (including for loss of reputation and goodwill and professional advisor’s fees) suffered by arising as a result of a breach by Contestant of obligations under the T&C or in any way in connection with failure to follow reasonable instructions with regard to entry into the Contestant or collection/avail of any Prize. 8.1 Winners must as a condition of the prize participate in all required publicity. 8.2 The Winner shall not without the specific prior written consent of HTML publish or disclose any information in connection with the Contest or the Prize (in particular, without limitation, to a representative of the media, in whatever form). 8.3The Winner shall not be entitled to give interviews or be involved in articles or reports in respect of the Contest or the Prize with any third party. All rights in relation to the Competition and the Winner’s involvement therein shall vest exclusively with HTML. 8.4 The Winner agrees to undertake as requested by HTML all interviews, Contest and other activities and to the reproduction publication exhibition transmission and broadcast by all means and media throughout the world at the discretion of HTML in perpetuity. 8.5 Without limitation to any other rights under this Agreement, HTML shall be entitled to refer to the Winner’s association with the Contest and the Prize in all publicity, marketing and Competition material in connection therewith. 9.1 The contest shall be governed by and construed in accordance with the laws of India. 9.2 The Courts/Tribunals at Delhi shall have the exclusive jurisdiction over any disputes, differences and, or, any other matters in relation to and arising out of the contest and, or, pertaining to the rules and regulations and, or, to the subject matter of this T&C. The following document contains the Rules, Terms and Conditions (hereinafter referred to as the “T&C”) for the contest “AAPKA MOBILE NUMBER LE JAEGA STADIUM KE ANDAR Driven By Honda Cars” (hereinafter referred to as the “Contest”) promoted/organized by HT Media Limited (hereinafter referred to as “HTML”) on its Radio Platform namely Radio Nasha 107.2 FM in Delhi. The Contestant must carefully read and agree to the T&C before participating in the aforementioned Contest. The contest can also be entered by taking a test drive of a honda car at the nearest honda dealer. In case of TD campaign, prospect should have a valid driving license only then dealership will provide td. Pick and drop facility will be given in TD car and to and fro will be provided between customer’s house and stadium only. Customer will not be allowed to take car anywhere else. Tickets will be offered from Radio Nasha side and not from Honda Car. Tickets to be collected from Radio Nasha office. The following document contains the Rules, Terms and Conditions (hereinafter referred to as the “T&C”) for the contest “Dilli ke VIP” (hereinafter referred to as the “Contest”) promoted/organized by HT Media Limited (hereinafter referred to as “HTML”) on its Radio Platform namely Radio Nasha 107.2 FM in Delhi. The Contestant must carefully read and agree to the T&C before participating in the aforementioned Contest. 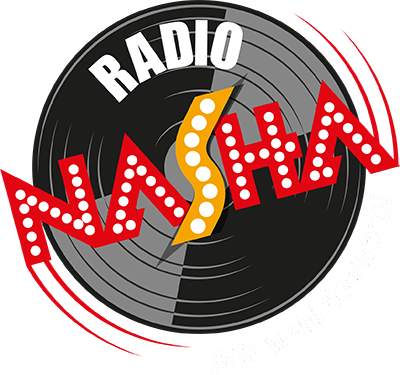 If you are the one, or you know somebody around you who has selflessly contributed in bringing out a positive change in the city with their contribution, then share it with Radio Nasha and we further will ensure that the entire Dilli knows about is and appreciates the efforts. Not just that, but we will also gracefully gratify them with the tickets to the hometown 20-20 matches. The following document contains the Rules, Terms and Conditions (hereinafter referred to as the “T&C”) for the contest “Baby Over” (hereinafter referred to as the “Contest”) promoted/organized by HT Media Limited (hereinafter referred to as “HTML”) on its Radio Platform namely Radio Nasha 107.2 FM in Delhi. The Contestant must carefully read and agree to the T&C before participating in the aforementioned Contest.